According to the use of industrial solenoids can be divided into five type, that is, traction magnet, lifting electromagnet, solenoid brake, electromagnetic auto electrical systems, other uses of electromagnets. 1. Traction magnet: is primarily used for traction mechanism, open or close various valves, which can perform automatic tasks. 2.Lifting magnets: that is, to use their magnetic lifting with magnetic materials such as steel ingots, steel, iron ore and so on. 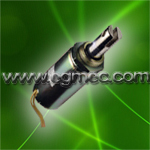 3.Brake solenoid: mainly used for electric motor braking to achieve accurate and parking purposes. 4.Auto electrical magnetic system: its application to electromagnetic relays, electromagnetic contactors, automatic switching of the electromagnetic release and operating solenoid, etc. 5. Other uses of electromagnets: mainly in the grinding of the electromagnetic chuck, electromagnetic vibrators, etc.